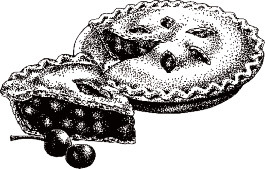 Bring your favorite family recipe (does not need to be an original) to the Bake Sale tent, at the Grahamsville Fairgrounds between 7:30 a.m. and 8:45 a.m. on Saturday, October 6, 2018. After 8:45 a.m., no cars will be allowed near the tent and judging will begin at 9:00 a.m. Judges will take a small sample of each entry for judging winners. The remainder of the entry will be sold at the bake sale to raise money to support the children and adult programs at the Daniel Pierce Library. For more information, call the library at (845) 985-7233. 1. Recipe must accompany each entry. NO NAMES ON RECIPES, PLEASE. Enter as many times as you like. 2. The entry form below must be attached to your submission. 3. Entry must be HOMEMADE and in a DISPOSABLE CONTAINER. 4. Each recipe entered for CHILDREN or TEENS must have either apple, pumpkin or berry as an ingredient.